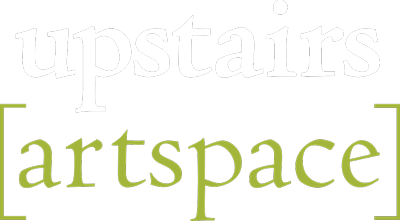 Upstairs Artspace, a non-profit contemporary art gallery, located in the historic Town of Tryon, North Carolina, in the foothills of the Blue Ridge, 40 miles southeast of Asheville, announces a search for a Gallery Manager. The gallery, with a mission to develop an understanding and appreciation of contemporary art and craft forms through exhibits, programs and educational activities, is in its 40th year of supporting local and regional contemporary artists and presenting exhibits and programs that enrich the cultural life of an already vibrant arts community. The Gallery Manager of Upstairs Artspace manages the day-to-day operations of the organization and partners with the Board of Directors to attain strategic goals. Primary duties will include gallery management and administration, media relations, and assisting the Board of Directors with fundraising. The Gallery Manager is proactive in cultivating new funding opportunities and soliciting and maintaining active participation of members and volunteers. Prior experience with non-profit boards as well as donor management database skills is preferred. Previous experience with a working knowledge of Intuit Quickbooks, DonorSnap, and Excel is preferred. The Gallery Manager will bring energy and a passion for the arts and culture while advancing the Upstairs vision, value and programming to the broader community. The Gallery Manager will attend social events of other arts non-profits in the area, prepare and make presentations to local civic and service organizations, serving as the external “face" of the organization. The Gallery hours are Tuesday-Friday 11 AM-5 PM. The Gallery Manager will attend monthly Board meetings and other occasional committee meetings or occasional social events and presentations. Schedule will be flexible to accommodate such outside meetings. The total work week will be 26 hours. Manage overall operations of the Upstairs, including overseeing the maintenance and administration of the gallery. Ensure the financial stability of the organization by maximizing contributed and earned revenue and expanding the donor and membership base. Solicit and maintain active participation of volunteers, coordinate their efforts and recognize their contributions. Coordinate financial information with accountants. Maximize use of electronic applications, communications and social media. Provide weekly updates to UA web site, Facebook, Instagram and Constant Contact. Coordinate preparation and installation of advertising materials with graphic designer for each exhibit. Prepare press releases related to gallery events and exhibits. The Gallery Manager will work with the Board of Directors to identify, contact, and meet with potential donors, exhibit sponsors and grant opportunities.